Our supersized dense bristle brush coats lashes from root to tip building a volumised full lash fringe. 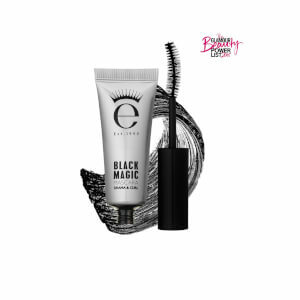 Complemented by our fibre-enhanced keratin formula to boost lashes with a carbon-black finish for clean definition. Aqua (Water), Acrylates Copolymer, Cera Alba (Beeswax), Hydrogenated Rapeseed Oil, 1,2-Hexanediol, Cetearyl Alcohol, Copernicia Cerifera (Carnauba) Wax, Kaolin, Butylene Glycol, Isobutylene / Sodium Maleate Copolymer, Octylacrylamide / Acrylates / Butylaminoethyl Methacrylate Copolymer, PEG-40 Stearate, Trehalose, Triethanolamine, Stearic Acid, Glyceryl Stearate, PEG-100 Stearate, Phenoxyethanol, Phenyl Trimethicone, Montmorillonite, Hydroxyethylcellulose, Polysorbate 60, Chlorphenesin, Dimethicone, Nylon-6, Silica, Simethicone, Oleth-10, Polysorbate 20, Disodium EDTA, Potassium Hydroxide. MAY CONTAIN: CI 77499 (Iron Oxides), CI 77266 (Black 2). Standard US Delivery - 3-8 working days. Tracked US Delivery - 2-7 days based on location. I have sensitive eyes, long eye lashes, and sensitive to smells. This spectacular mascara doe not make my eyes itch, does not flake, and lasts until I take it off! It dries fast, so I don’t get mascara marks all over my eye lids. There are no funky smells with this mascara - I don’t even notice a smell. I initially wanted s silicone brush, but this brush separates my lashes nicely with no ugly spidery clumps. Love it! I’ve tried many different brands of mascara in my lifetime. 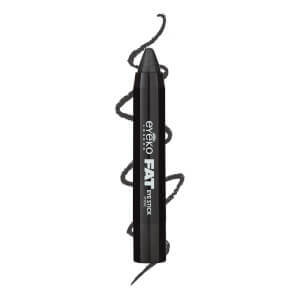 This Fat brush mascara by Eyeko is by far the best! It applies very clean and evenly. I have sensitive skin and eyes and I have no issues with wearing or removing this mascara. It makes my lashes look amazing and my eyes stand out. My lashes look fuller which is great as I have short eye lashers. Definitely my favourite mascara . I have very thin eyelashes so this mascara is good for me as it makes my lashes thicker than it actually is. It hasn't clumped once since I have started using this. It has a nice thick brush which doesn't clump, is good to apply and most of all, it works! I love it and will definitely buy again. Love Eyeko!